The National Federation Party is deeply concerned that the Constitutional Offices Commission continues to delay the appointment of the Electoral Commission, which is critical for preparations for a truly credible, free and fair general elections. The three-year term of the Electoral Commission ended on January 9, 2017 and since then, the Supervisor of Elections, who reports to the Commission and follows its directions, has been left unsupervised and is carrying on with preparatory work for the elections. The Constitutional Offices Commission (COC) is empowered under Section 13 of the 2013 Constitution to appoint the Chairperson and Members of the Electoral Commission. The COC is chaired by the Prime Minister and its members are the Attorney General, the Leader of the Opposition, two Members appointed by the President on the advice of the PM and one member appointed by President on the advice of the Opposition Leader. The Member nominated by the Leader of the Opposition, lawyer Richard Naidu, resigned last year. The current COC is therefore totally lopsided in favour of Government. We also note that the COC Chairperson (the Prime Minister) has been empowered to make acting appointments for a period of three months. He used this to appoint the Acting Commander of the Army in August 2015. Why couldn’t the Prime Minister extend the term of the Commission chaired by Chenn Bunn Young for a three-month term, pending the Commission’s reappointment or appoint a Commission for another three-year term? It is deeply concerning that the Elections Office has been running without the constitutionally-mandated oversight of the Constitutional Offices Commission, especially when it is already preparing for the 2018 elections. The next scheduled general election can be constitutionally held as early as April 2018, three-and-half years into the term of the current Parliament. This is 15 months away. We cannot have the Supervisor of Elections preparing for election at his discretion against a backdrop of clear conflict of interest from his Minister, who is the General Secretary of the ruling Fiji First Party. This is a very clear direction from the Court of Appeal and their declaration, read with the Constitution, places the onus on the Prime Minister to ensure that these legal principles are upheld expeditiously. An Electoral Commission is needed to ensure the implementation of Recommendations of the Multinational Observer Group, which included the General Election 2014 and the Annual Report 2014 of the Electoral Commission itself. We know that the Reports, after a delay, were referred to the Parliamentary Select Committee on Justice, Law and Human Rights. The Committee’s Report should be tabled in the February sitting of Parliament, in the interest of a truly credible and genuinely free and fair election next year. For the sake of transparency and accountability of the electoral process, there should not be any delay in the appointment of the Electoral Commission. Otherwise, in our view, it would constitute systematic election rigging by ignoring the need for the continuous existence of an independent institution. 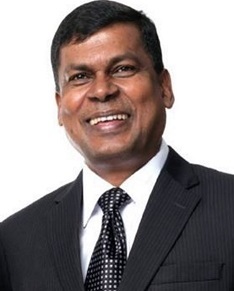 Dr Biman Prasad is Leader of the National Federation Party and Elected Member of Parliament. Prior to his political career, he was Professor of History at the University of South Pacific in Suva.